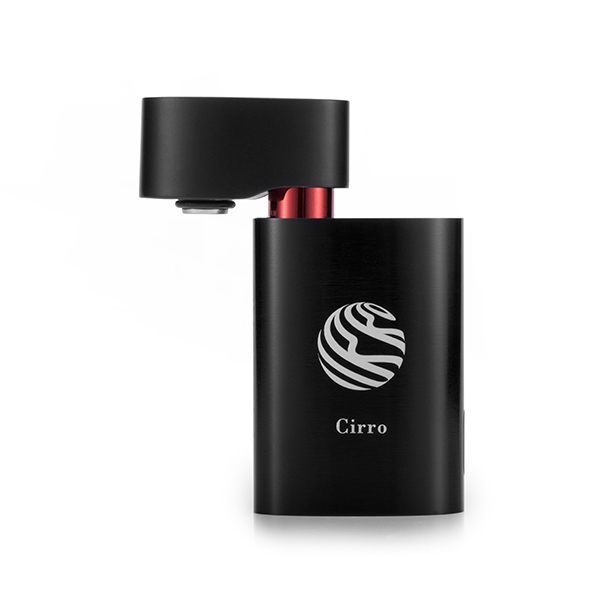 The Cirro Portable is an high quality multi-use portable device that is absolutely packed with advanced features that will deliver an incredible on the go experience. 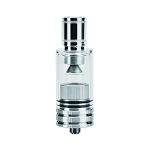 Starting with it's free-rotating 360ï¾° top lid design, the Cirro's heating chamber is quickly and easily accessed with just a simple twist, allowing you to refill in just a moment's notice with minimal effort. Within this innovative lid design there is also a hidden mouthpiece that is also 100% removable which makes cleanings a breeze. 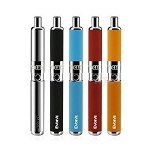 It features a wide temperature control range that offers amazing results with either dry material or thicker concentrates. The Cirro utilizes four optimized preset temperature levels that include 374ï¾°F, 392ï¾°F, 410ï¾°F, & 428ï¾°F, each are shown using the front facing LED light indicators. 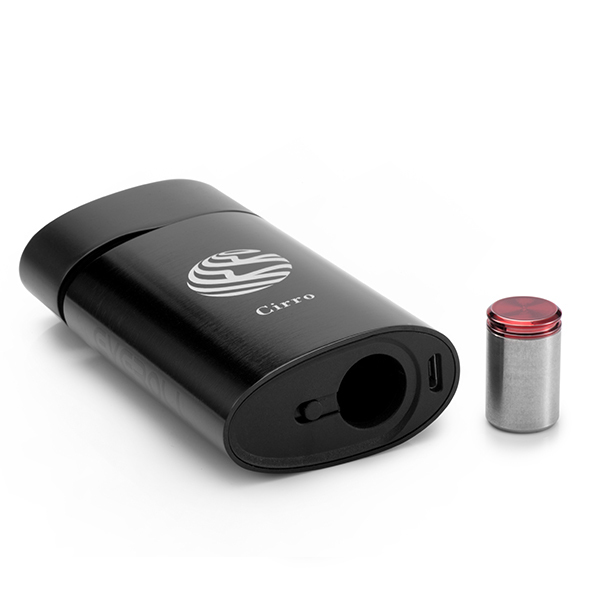 Select your temperature and the Cirro will begin heating, indicated by a red LED light. 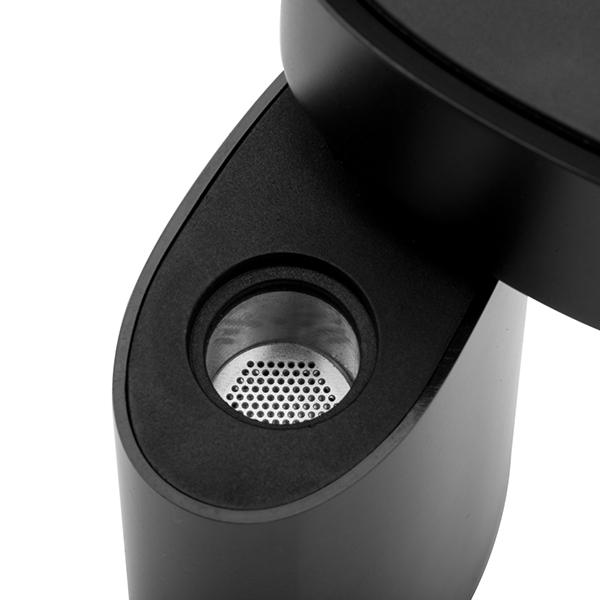 In just around 30 seconds the Cirro will reach your desired temperature setting, the LED will change from red to a solid blue and the innovative haptic feedback system will notify you when it is ready for use. 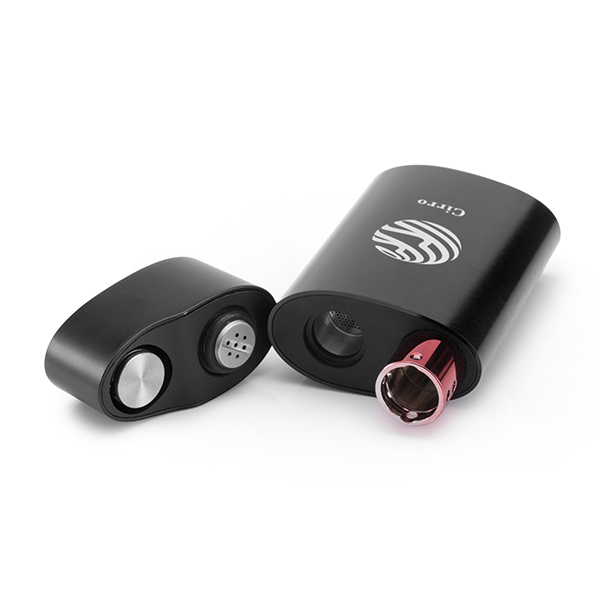 This makes it a great device for stealthy sessions on the go, forget about staring at the Cirro waiting for the LED to change colors, simply leave it in a pocket and wait for the vibration. 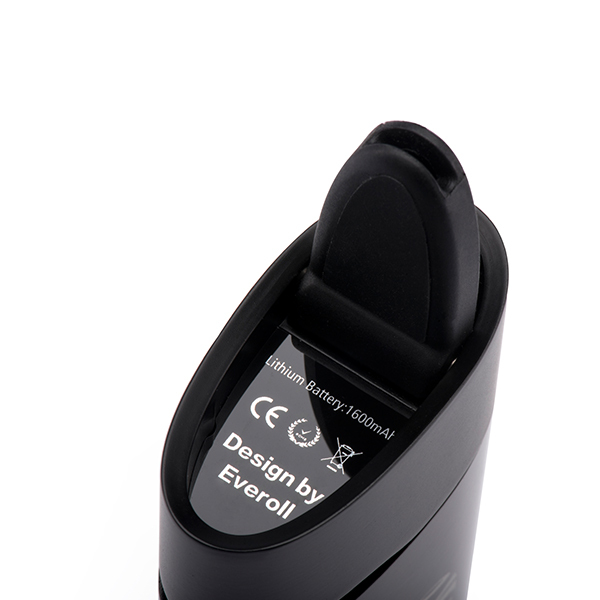 Everroll's Cirro Portable is powered by a premium lithium-ion battery with large 1600mAh capacity. 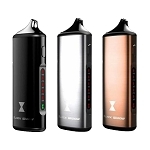 This long-lasting power source will provide around 2-2.5 hours of continuous use between each charge, allowing you to take it with you on the go and use all day without worrying about that low battery warning. Be sure to fully charge your Cirro device before it's first use to maintain a maximum overall lifespan. 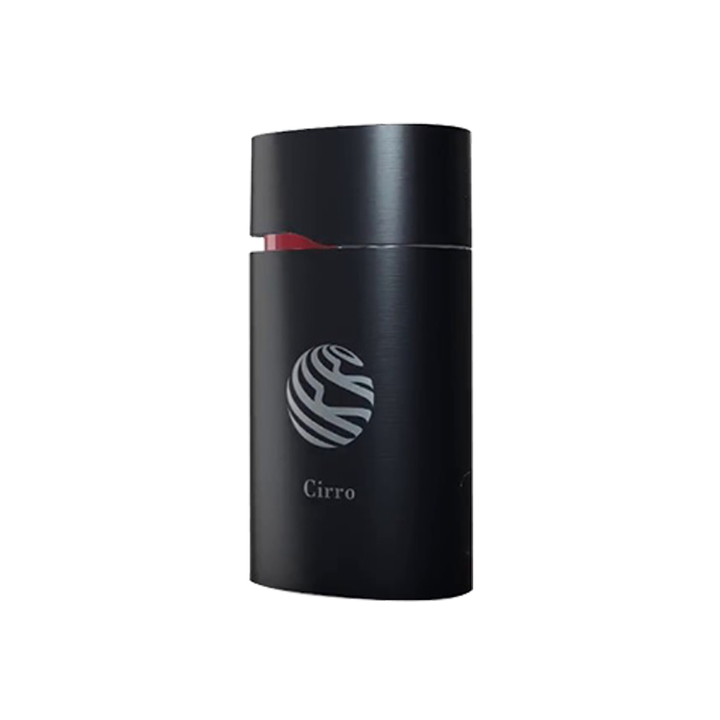 The Cirro device also features a large aluminum material chamber with convection heating method that will efficiently heat your dried blends, creating a strong and flavorful aroma. 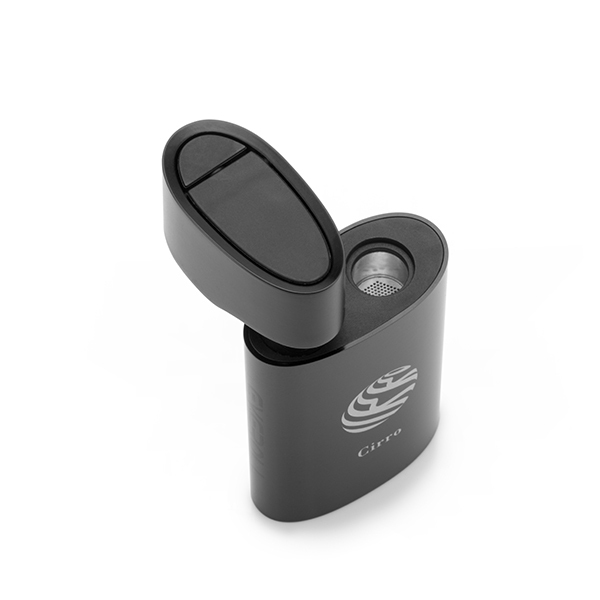 If you prefer using thick essential oils, Everroll includes a chamber cup insert that will allow you make it concentrate compatible in just a matter of seconds. 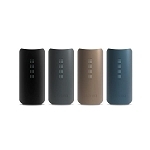 This advanced portable device also features a top quality 304 stainless steel construction, an innovative 5 minute standby time and it is equipped with a bottom storage space that allows you to keep some extra material within the Cirro device itself to ensure you are always able and ready to enjoy your favorite blends as long as you have your Cirro device on you.